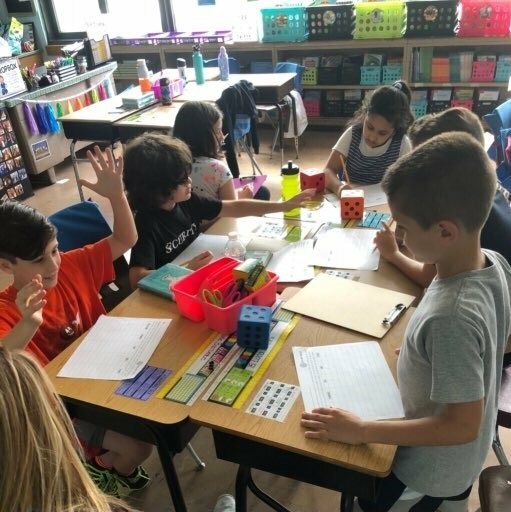 The Valley Stream Union Free School District Thirteen’s Willow Road Elementary School students recently spent time in the school’s math center to refresh their place-value skills and expand upon their existing knowledge of the subject. Students participated in collaborative discussions to help each other better understand the basis of place value—referring to the value of a digit based on its numerical position. 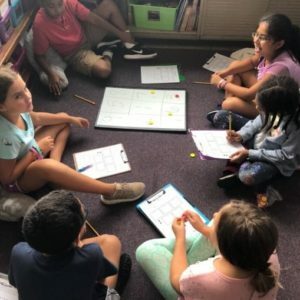 Using dice, blocks and other interactive learning tools, students were able to visualize this lesson to help them better understand the place-value concept. Collaborative activities allow students to learn not only from their teachers but through detailed discussions with their fellow peers—providing for a joint learning experience. The District will continue to utilize interactive learning tools to help students grasp the mathematics curriculum and other subject areas students will be working to master this school year.